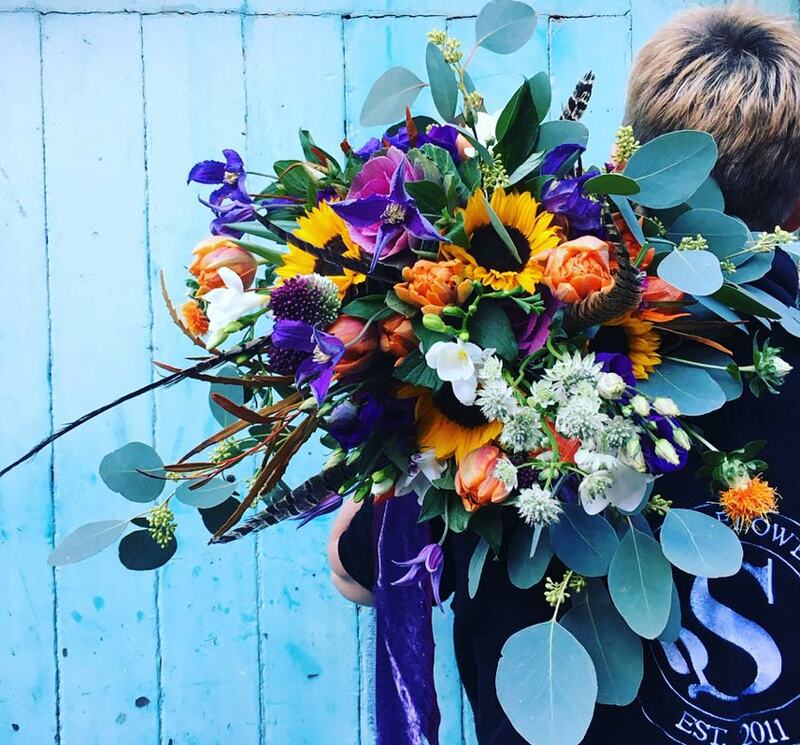 There are lots of reasons to opt for seasonal wedding flowers. It can be a good way to maximise your budget and achieve great value for money. Although there’s no guarantee seasonal blooms will be cheaper, buying certain flowers in bulk at the right time of year can be cost-effective. For example, spring bulbs, late-summer hops or winter branches may be purse-friendly options, especially if you use them to bulk out displays. Nowadays, many flowers can be sourced all year round. However, choosing seasonal blooms is the best way to ensure quality while capturing the beauty, fragrance and atmosphere of the time of year. In many ways, flowers are no different to food. Just because we can eat strawberries from overseas in winter doesn’t mean they’ll taste anywhere near as good as those grown more locally during the summer. As well as considering what’s in season, don’t forget to ask your florist which blooms will look best with your dress and the rest of your décor. Spring is an incredibly fragrant time of year. 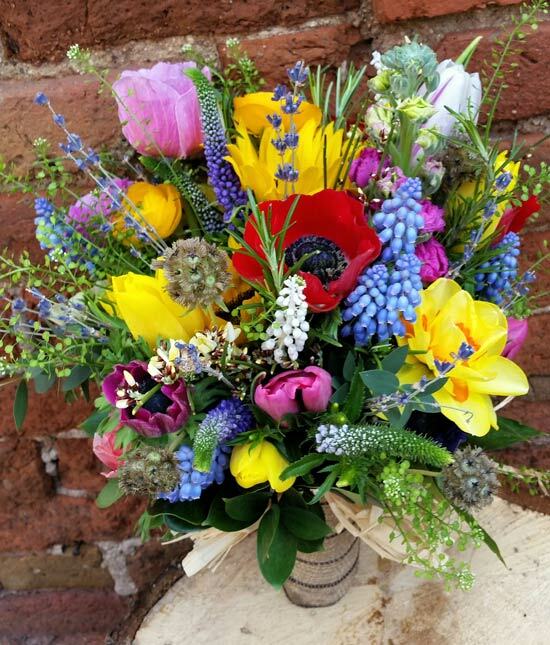 As flowers finally start growing in abundance again, you’ll be spoilt for choice. Pastel colour schemes work well in spring, along with creamy whites, dusky pinks and soft blues. "Spring flowers work well massed on their own - whether it be ranuncula or anemones or simply mixed with one other flower. Feeling bold? A vibrant spring mix makes for eye catching bouquets and centre pieces with some real seasonal wow! Having flowers with scent in your wedding bouquet is a great idea as it will act as a memory trigger in the future and the scent will remind you of your wedding day." If you love bright, bold colours, you’ll love summer blooms. Flowers can also look soft, dreamy and romantic at this time of year and many popular varieties have strong, sweet scents. 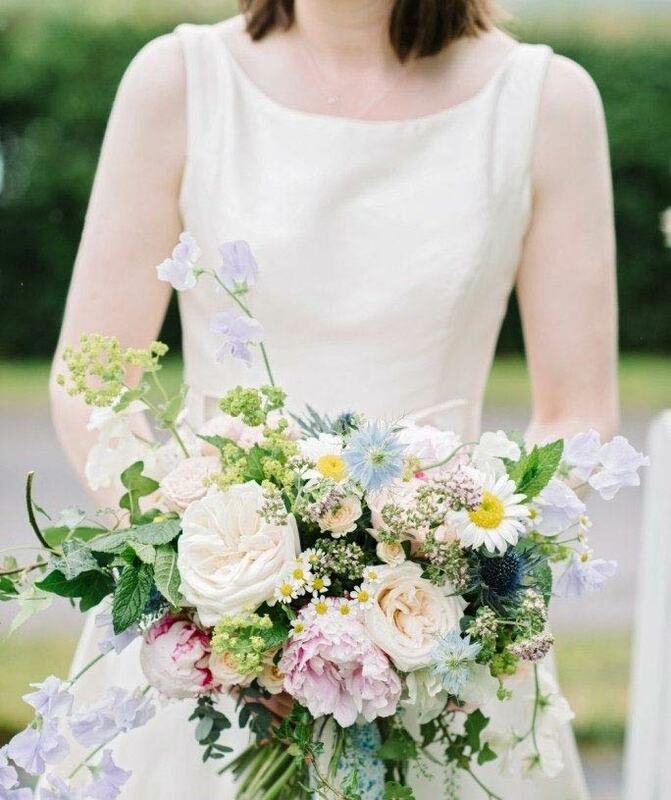 "When a bride asks for a seasonal bouquet for summer we always encourage a mix of colours as well as varieties. We love to use a range of pinks and lavenders but add pops of lime and pale blue as this just sings summer flower bounty." Autumn is all about rich, vibrant colours and masses of texture. Orange, burgundy, red, magenta and deep purple flowers are widely available. If you’re on a tight budget, consider cutting back on blooms and relying on beautiful seasonal foliage instead. "Autumn is my absolute favourite season... waving off the romance of the blush summer tones and welcoming in the zingy, zesty oranges, limes, deep reds and sumptuous purples. Berries are in abundance in the hedgerows, I always favour the glossy hips and haws of the Dog Rose and Hawthorn, that can be found by foraging... just be careful of thorns! Acorns and small crab apples add interest, as well as pheasant feathers at this time of year. The British Flower Market is awash with the deeper toned hydrangeas, and the exuberant heads of the dancing Dahlias. 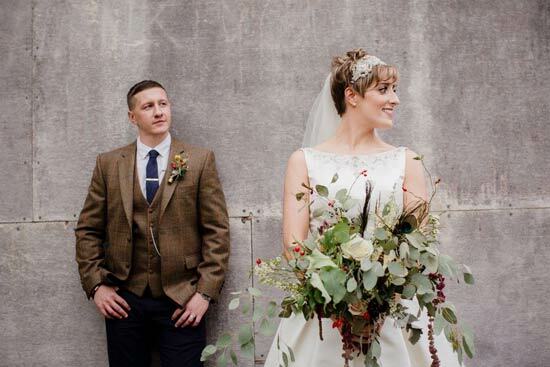 Seed heads make for fabulous buttonholes, long lasting and fairly robust when the Grooms hugging the well wishers! Gourds and Squashes are wonderful for acting as lanterns, just add tea lights to light pathways. Dressed with flowers and feathers, even added fruit of grapes and figs for the rich burgundy tones of Autumn, for quirky pew ends that can even double up as table centre pieces. Foliage is just natural wonder... the bronzed branches from hedges of beech make a stunning addition to any display, adding light and the sought after, metallic tones. With the delicate light of Autumn it is so ethereal; it just adds magic to everything.... oh I just love Autumn!" 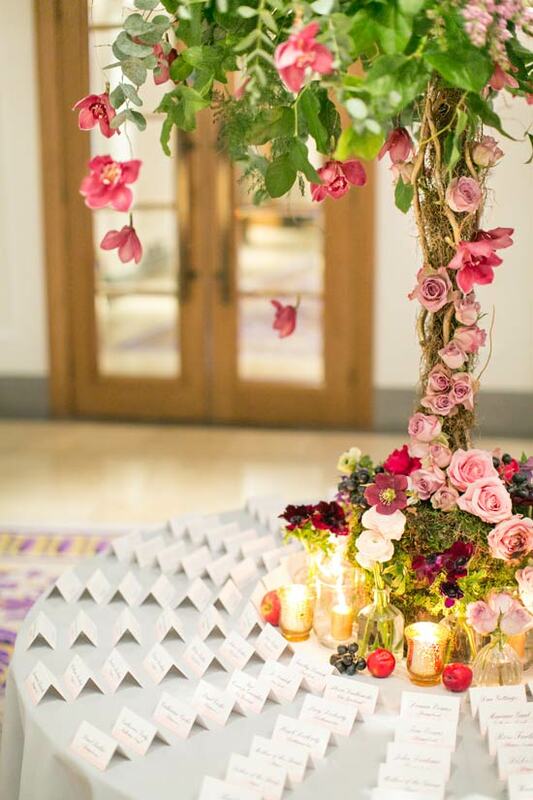 We all know winter is a fallow season, but you certainly don’t have to have a wedding without flowers. Deep reds and winter whites are an obvious choice. No matter which blooms you opt for, make sure you add candles! Soft, flickering candlelight warms up displays and highlights even the subtlest colours and textures. "What I love about winter is the rich shaded colours. The textures of the beautiful foliages with pretty berries. I’m also fond of using fruits with flowers in the colder months, like black grapes, plums and a few gold apples just finish off a table, with lots of candles to add that flicker of light." Feeling inspired? Don’t miss our post filled with 4 show-stopping ideas for your wedding flowers.